The following are B.Tech 2-1, 2-2, 3-1, 3-2, 4-1, 4-2 Regular/Supply exams 2011 Previous question papers for all Branches. All the papers are arranged in the good manner and you can download them easily here. From the table below select the type of the exam. 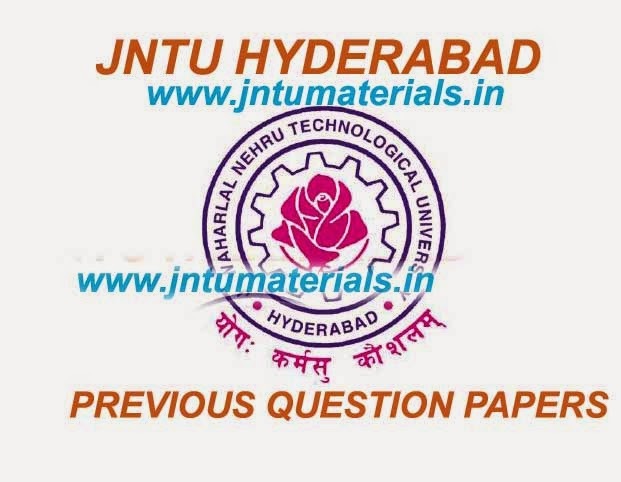 Click on the exam name to download jntuh previous question papers. Select your subject and get ready for the exams. All the content is copyrited and dont copy it.